If the inside of your roof is unlined, check for cracks showing daylight as this will indicate areas needing closer inspection. Shine a torch on the timber joists & check for water staining, if stains are found on the timber joists, try to trace the source of the stain. 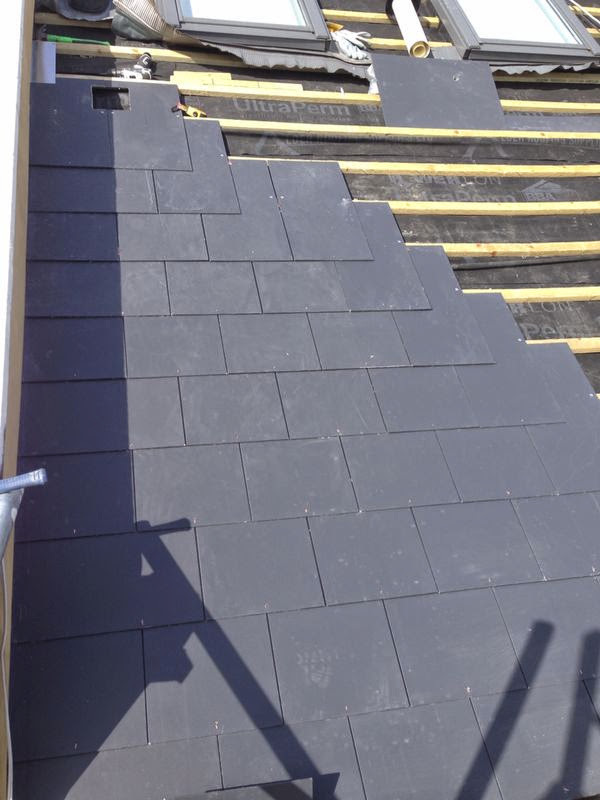 It is useful to inspect the inner roof space after a long period of rain, as the source of a leak is easier to trace, a slate will deteriorate with age, so check for hairline cracks by looking for staining on & around the tiles. Check the whole roof by inspecting at ground level. It is easy to spot a disjointed or slipped slate or tile against regular lines. If there is a change to the colour of a section, it could be newly exposed and therefore unweathered. Look for a powdery or flaky surface, which shows deterioration, meaning the slate or tiles are no longer doing their job effectively. Look at the ridge on the skyline and check for gaps in the mortar joints. 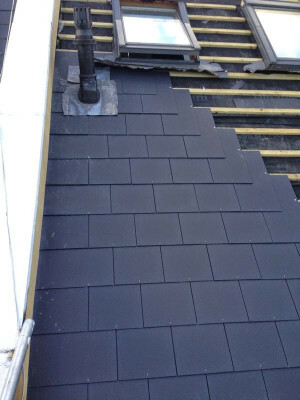 Check for the state of the flashings along your parapet walls & around chimney stacks. 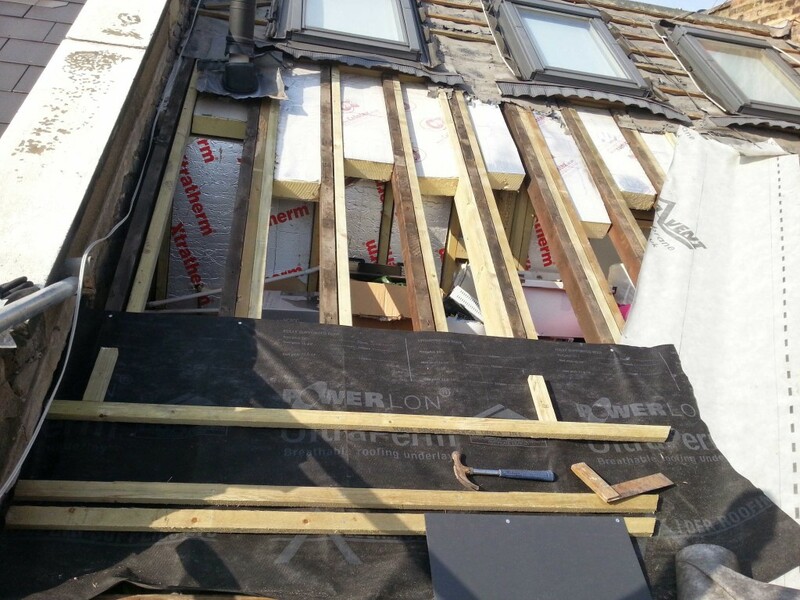 Check for fallen pieces of mortar & check the parapet wall flashing. Most roofs require maintaining. If you have concerns about your roof call or email Thames Gutter London & we will provide a free, no obligation service where we assess if repairs are required and advise you accordingly, providing you with a detailed breakdown. 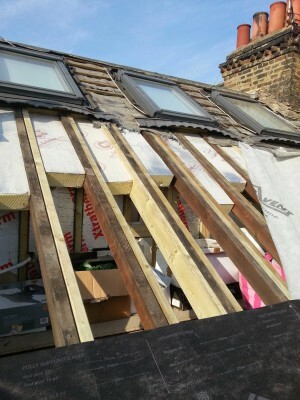 We are able to provide a roof repair service for all types of roofs whether pitched, flat, residential or commercial. 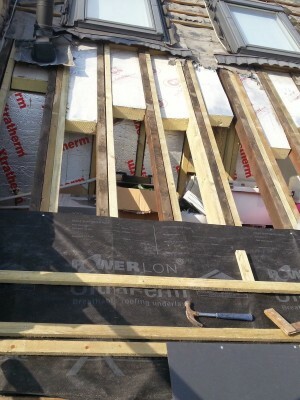 We provide a call out service to deal with storm damage or other emergencies. We then provide a detailed assessment to help you with any insurance claims and temporary measures are put in place to protect your property, until we complete the roof repair service. If you notice that the mortar between the bricks has perished on the parapet wall along the flashing, around the chimney stack or exterior walls it should be replaced. Failure to do so could result in rain penetrating the brickwork & damaging the mortar further & also leading water in to your property. It is key that you identify this as soon as possible to prevent further cost mounting up. The points of entry are: parapet walls along the flashing, around the chimney stacks & exterior walls. In this perished condition they require re-pointing & sealing. If you would like further information on our roof repair service or re-pointing on residential or commercial, please do not hesitate to contact a member of our helpful team. 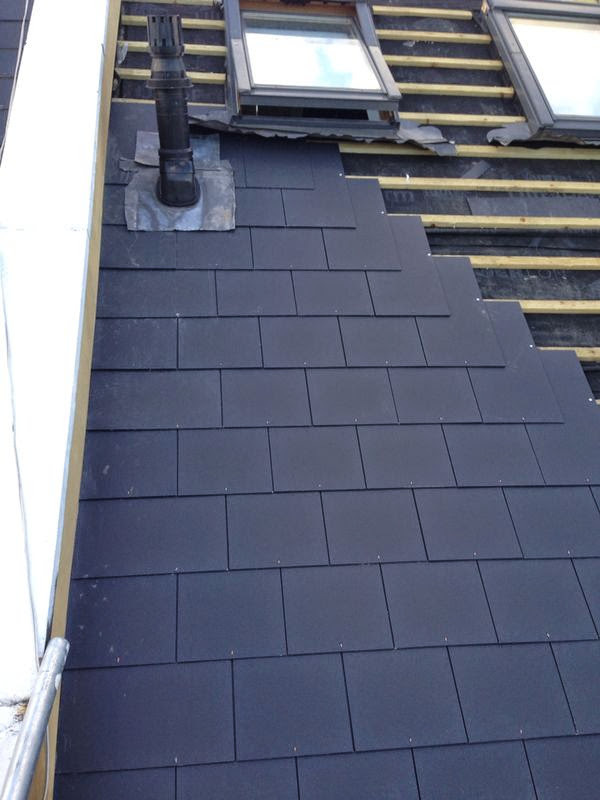 Thames Gutter London provides guarantees on all types of roof repair service & re-pointing commercial & residential properties. All our services are 100% Guaranteed. Our guarantee is simple, unlike many other services it’s difficult for customers having their roof repair service or re-pointed to inspect the finished results, so we will provide photographic evidence to reassure you in our ability to offer complete satisfaction and to alleviate any doubt we give every customer whether it be residential or commercial & a FREE 5 years guarantee. * In the event that your roof leaks within 5 years following a roof repair service or re-pointing by us, we will call back and fix the leak or problem free of charge.